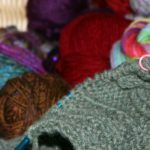 If you are new to knitting you will be wanting to learn the easy knitting stitches first before you venture on to the more challenging ones. The good news is that once you have mastered the garter stitch, the rest will come easily. This one of the easy knitting stitches for you to learn. In fact, it is the easiest and most basic of all the stitch patterns and is achieved by knitting every row. The end result is a flat, reversible, ridged fabric that stands up well to wear and does not roll at the edges. 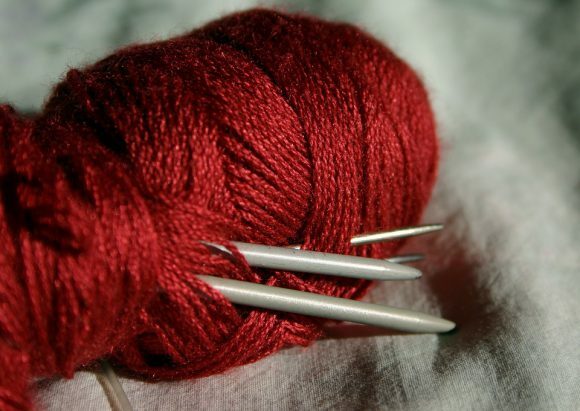 Here’s how to do it: When you get to the end of your first row of knit stitches, transfer the full needle to your left hand and start the process of knitting each stitch all over again. After several rows, you’ll begin to see the fruits of your labour, and in time your growing strip of garter stitch will start to look like a real piece of knitted fabric. For video instructions, click here. 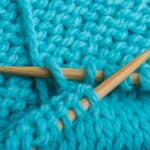 Purl stitch is also one of the easy knitting stitches. Normally once you are knitting garter stitch comfortably, purl knitting is the next most logical step. When you knit purl, you simply knit into the front of the stitch instead of the back. It is like doing garter stitch in reverse. Once you have learned both purl stitch and garter stitch, it is time to put them together to create stockinette stitch. With Stockinette (stocking) stitch, you knit one row garter stitch and the next row purl. You will begin to see the V-patterned fabric that most people associate with knitting. Now that you’ve learned how to knit and purl, you can finally put them together to make stockinette stitch, the V-patterned fabric that people most often associate with knitting. Unlike garter stitch (which appears ridged and does not roll), stockinette stitch has a much smoother appearance and a tendency to curl at the edges. Many designers use this inclination to their advantage, creating everything from rolled necks and cuffs to rolled edges of handbags and scarves. Stocking stitch has a smoother appearance than garter stitch, but it does have a tendency to curl at the edges. A lot of designers actually use the curl to create things like rolled necks and rolled edges on handbags. Basic ribbing is simply done by doing one garter stitch, then taking the wool over and doing one purl stitch across the row. There are of course variations, for instance, 2 stitches purl and 1 stitch garter across the row. Basic ribbing is usually used on hems and necks of most sweaters as it is stretchy and bounces back into place after being stretched. One of the nice things about ribbing (besides its elasticity) is that after the first row or two you can put down the instructions and let the stitches show you what comes next. When the stitch you’re about to work looks like a V, knit it. When it looks like a bump, purl it. The trickiest part about ribbing for beginners is remembering to move the yarn back and forth when working the different stitches. For example, in two-by-two ribbing, you knit two stitches, move the yarn between the two needles to the front of the work and then purl two stitches. 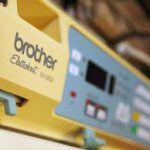 If you don’t move the yarn from back to front and front to back between knit and purl stitches, you will end up with extra stitches on your needle and a rectangular piece that quickly begins to resemble a triangle. That was a run down of easy knitting stitches, and the stitches that everyone learning to knit should master first.